Highlights of England's historic 3-2 win against Spain at the Estadio Benito Villamarin. Raheem Sterling ended a three-year international goal drought with a double as England recorded a famous 3-2 UEFA Nations League victory over Spain in Seville. Sterling rifled England into the lead on 16 minutes - his first international goal since October 2015 - and rounded off a stunning first-half display with another seven minutes before half-time. Marcus Rashford's sixth international goal was sandwiched in between Sterling's two strikes as the Manchester United forward atoned for his pair of missed chances in Croatia on style. Spain pulled a goal back through substitute Paco Alcacer on 57 minutes and netted again through Sergio Ramos with the final touch of the match, but a resolute defensive display secured England's first victory in Spain since 1987. 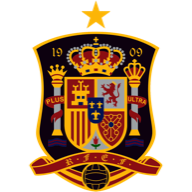 Spain: De Gea (5), Jonny (5), Ramos (6), Nacho (5), Marcos Alonso (5), Thiago (5), Busquets (6), Saul (5), Aspas (5), Asensio (6), Rodrigo (5). Subs: Alcacer (6), Morata (5), Ceballos (5). England: Pickford (6), Trippier (7), Maguire (7), Gomez (7), Chilwell (7), Dier (7), Winks (8), Barkley (7), Sterling (9), Rashford (8), Kane (7). Subs: Walker (5), Alexander-Arnold (5), Chalobah (n/a). On receiving a long pass from Pickford, Harry Kane cleverly held up play before playing Rashford through on goal, and the forward, unlike in Croatia, kept his composure to slot home beyond his Manchester United team-mate De Gea. Two became three on 38 minutes as Ross Barkley lofted a wonderful ball over the top for Kane, who unselfishly squared for Sterling to convert as Spain conceded three goals in a home competitive match for the very first time. England made three changes from their draw with Croatia as Trippier, Gomez and Winks replaced Walker, Stones and Henderson. Jonny made his Spain debut while Rodrigo started up front ahead of Morata and Alcacer. A long-range Asensio shot that whistled past Pickford's goal was the closest Spain came to a second until Ramos powered a header home in the seventh minute of injury. But the referee brought a thrilling match to an end before the Spanish fans had the chance to finish their celebrations as the final whistle confirmed a night to remember for English football. "They should be incredibly proud of their performance. "We spoke to the forward players in particular before the game to remind them what a threat they are. The three of them were outstanding and caused all kinds of problems. Then it was for the rest of the team to provide and be brave enough and I thought at times we did that really well." "Like every game there are positives to take and I'll take the positives from the second half. "The result was exaggerated but fair, they deserved to win. Luck comes into play, that didn't help us. "England are a fantastic team, our Nations League group is very difficult. But we have still got one more game, we have to win to qualify and that's the best news because we depend on ourselves." This was England's first victory - and first goals - in an away match against Spain since February 1987, when Gary Lineker scored all four goals in a 4-2 victory. This was the first time in their history Spain had conceded 3+ goals in a competitive home international match. England scored with all three of their shots on target in the opening 45 minutes - they didn't have a single effort on goal in the second half. Raheem Sterling's goal was his first for England since netting vs Estonia in October 2015 - ending a run of 1825 minutes and 27 games without one. Raheem Sterling scored twice in an England match for the first time, while it was also the first time Harry Kane had provided two assists in a match for the Three Lions. Marcus Rashford has scored three goals in his last four appearances for England - as many as he had in his previous 25. Harry Kane has been directly involved in 39% of the 44 goals England have scored under manager Gareth Southgate (14 goals, 3 assists). 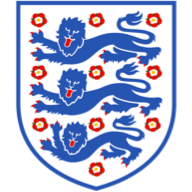 England host USA on November 15 before finishing their UEFA Nations League campaign with a home game against Croatia on November 18. Spain might have top spot in the group wrapped up by then as they travel to Croatia for their final group game on November 15.